» Assesses the current level of an athlete’s ability. » Allows for proper grouping of the athlete in our program. » Allows for the proper exercise prescription to be developed. » Allows us to record and monitor progress while in our program. 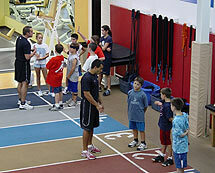 The Performance Evaluation is a mandatory event for every athlete that enters the Parisi Program. During the Evaluation, the athletes will be taught our signature dynamic warmup, be examined during our Running Analysis Procedures, and tested in a battery of physical speed and strength tests. After the evaluation, every athlete and parent will meet individually with the Head Evaluator and review the results. At that time, the parent and athlete have the correct information to select the appropriate program to fit his or her needs. Science has proven that ages 7 to 11 are the most critical years in a child’s life for motor skill development. 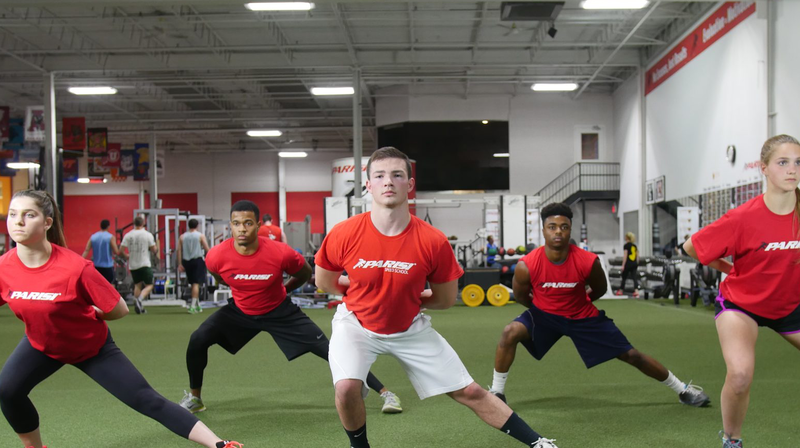 Jump Start utilizes the most up to date research in a fun and friendly environment to build your young athlete’s physical foundation, improve coordination and self esteem through our signature speed and strength training methods. 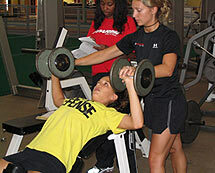 Sessions are 1 hour long and have a maximum of eight athletes to one Parisi Performance Enhancement Specialist. Sessions are offered every day, at varying times. Training during these sessions focuses on speed development, body weight strength training, endurance and flexibility. Every athlete in the Jump Start program must first go through our mandatory comprehensive evaluation to first assess strengths and weaknesses and then group your athlete accordingly. After completing the initial evaluation, your athlete will be placed in one of two groups based upon performance level and age. Jump Start is a must for any young athlete who wants to develop foundational athletic skills to help get a jump start on the competition and feel better at the same time. Evaluations: Every athlete begins our program with a mandatory evaluation. 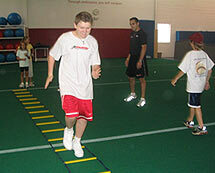 We use the information to assess and group the athlete according to their performance level. Reviews: Immediately after the evaluation, our testing expert will discuss the results of the evaluation. This will identify your athlete’s strengths and weaknesses as well as explain the best way to group your athlete in our program. Many experts view the ages of 12 to 18 as the most ideal ages for developing speed, strength and power over an athlete’s entire lifetime. 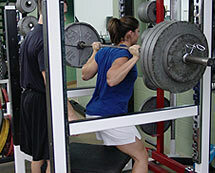 This program was developed using cutting-edge techniques to produce maximal improvements in athletic performance. Every athlete in the program must first complete our mandatory comprehensive evaluation to assess their strengths and weaknesses. After completing the initial evaluation, the athlete will be placed in one of two groups depending upon performance level and age. Athletes placed in this group are able to perform the basic requirements of our program and are at the beginner level for strength training. The typical age range for this group is 12-14. Athletes placed in this group have a number of years of training experience and can now tolerate more intense levels of training. The typical age range for this group is 14-18. Sessions are 1 hour and 15 minutes in length, offering an energetic and competitive environment for training. Total Body Strength Training sessions: These sessions focus on strength training exercise techniques and strength training information for the upper body and lower body. This program is a must for any adolescent athlete who wants to take their game to the next level. 1. Evaluation: Every athlete begins our program with a mandatory evaluation. This is used to assess current ability, identify strengths and weaknesses, and group athletes accordingly. Using the information from the evaluation, every athlete selects a program that is designed to fit their needs. This program will be some combination of Speed, Strength, Flexibility, or Nutrition training. 2. Speed Training: Our signature speed methods focus on improving an athlete’s technique and conditioning. This will lead to sprint efficiency and increased speed. 3. Strength Training: Strengthening the muscles used in sprinting makes an athlete cover more ground per stride and less injury prone. This education will also allow an athlete to properly train on their own when the program is completed. 4. Flexibility: Increasing an athlete’s range of motion will allow for a longer, more efficient stride when sprinting, and decrease the chance of injury. This leads to a faster, safer athlete. 5. Nutrition: Improving an athlete’s diet through education can create good eating habits, maintain an optimal body weight, and increase energy and self esteem. These improvements help any athlete to be faster. P.E.A.K (Parisi Elite Athletic Knowledge) was created for the dedicated athlete who aspires to compete in athletics beyond high school. Athletes are selected for this program by the Parisi staff at the initial evaluation. 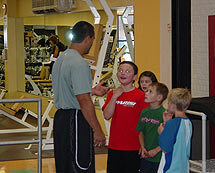 Veteran Parisi athletes may also advance into this program after making a marked improvement. The selection process is based not only on physical attributes such as speed and strength but also on quality of character. 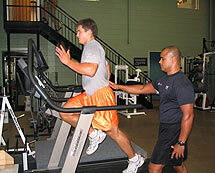 Take your performance to the next level by training in the P.E.A.K program.